Yesterday I reviewed a few skincare items I received from Olay. Today I am going to review a couple of body care items I also received from them. Olay is diversified in their product range. They have skincare items for the entire body. Olay has come out with one of the most interesting products I have ever seen. It is called the Olay DUO Dual-Sided Body Cleanser and is something that has never been seen before. It is a dual-sided flexible, cleansing puff with body cleanser that exfoliates, cleanses and smooths skin. All you have to do is add water for a rich, cleansing lather. DUO contours along the curves of your body with a breakthrough flexible body cleanser for a close, gentle clean. After you are finished you can then hang DUO in the shower. It lasts for up to 30 uses. DUO has two sides, a cleansing side and an exfoliating side. The exfoliating side renews skin's surface deeper that a body wash puff, while the smooth side conditions skin to make it touchably soft. This product cleans 2X better that Olay's basic body wash + a puff, for an invigorating cleansing experience. The scent is amazing, it is a soothing blend of orchid and rich black currant. DUO brings together your favorite body cleansing products in one breakthrough showering experience. DUO is different because it cleanses, exfoliates, and smooths your skin all in one product. There is no need to add any soap or body wash to it, or use any extra puffs or washcloth with it!. To use, remove DUO from its packaging and tear open the plastic sleeve. Just add water; the cleanser inside DUO lathers with rich suds when wet. Enjoy a complete, close clean with the exfoliating side and smooth side. Use both sides as you like, DUO contours perfectly to the body's every curve. Use daily and hang to dry. When the lather fades, it's time to get a new one. It has been designed and tested to be used for up to 30 showers, or until lather fades. Do not use with other body washes, it is best to discard it and purchase a new DUO. Also, it is designed for adult use, as the lather might cause eye irritation in children. It is not designed for facial use, only for body cleansing. This is something I thought would be really cool. And it is. The Olay DUO Dual-Sided Body Cleanser leaves my skin feeling soft, clean and I love how well it exfoliates. The scent is so nice. It is exotic. I feel that this might be something good for travelling, if you have to travel a lot. Also, it is a great idea. The cleanser that they have inside of it is one of the best I have ever used. It is better than most body washes. I really think that most, if not all people who try this will really enjoy it. 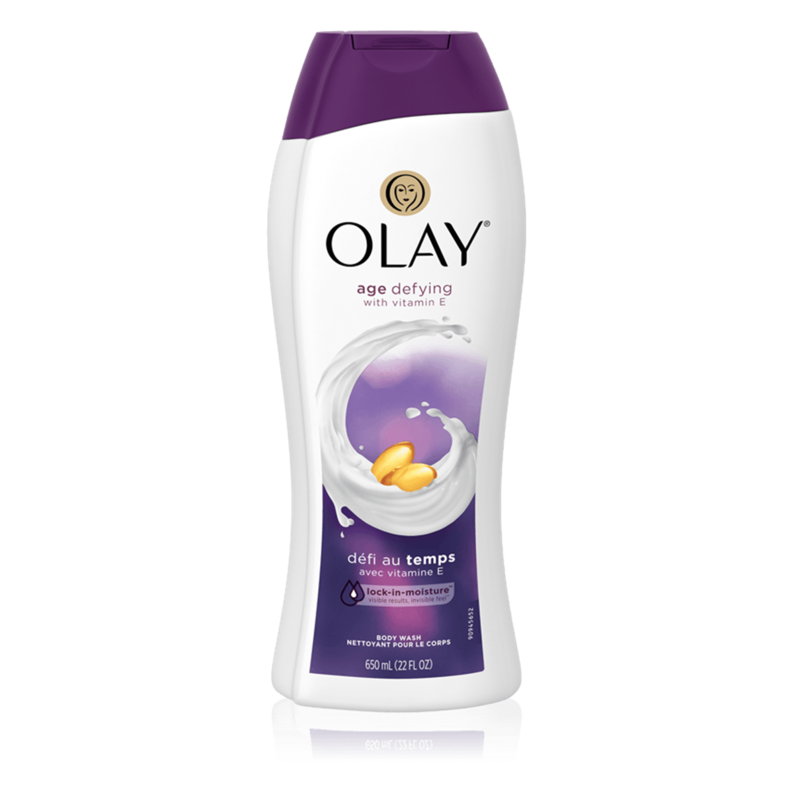 Olay Age Defying Body Wash With Vitamin E is one of Olay's best selling products. Why? Because with this body wash you can reveal younger-looking skin over time with this formula. Its new and advanced age-defying formula with Vitamin E deeply moisturizes skin and helps treat dryness at the source. By penetrating surface skin layer by layer, it cleans and improves the condition of your skin over time. It has unique Lock-in-Moisture Technology, to deliver all-day moisture and healthy looking skin when you cleanse head to toe. Lock-in-Moisture technology infuses skin with moisture without leaving a coated feel on the skin. All you are left with is healthy-looking skin that feels clean and smooth. With continued use, this body wash (with Olay moisturizers and Vitamin E) will give you younger-looking skin. In a clinical study, experts noticed dry skin improvement in 100% of women studied. Olay even offers a Money Back Guarantee that you will love this product. If for any reason you are dissatisfied with a product, they will give your money back. See website for details. I have very dry skin. If I take a shower and do not use lotion afterwards, my skin itches like crazy. I need a great body wash that will help moisturize my skin and leave it feeling soft, smooth, hydrated and moisturized so that I don't have to use lotion. That is a tall order. Well I was definitely able to accomplish this with Olay Age Defying Body Wash With Vitamin E. It leaves skin feeling so moisturized, soft and hydrated that skin does not feel itchy after the shower. I was very happy with this body wash and I would recommend it to all women (or men!) with dry skin. It has a nice clean scent to it, nothing overpowering. 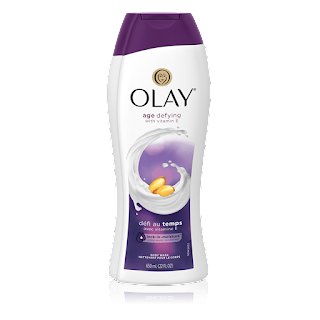 I think this might be my new body wash.
Olay products are available at mass market retailers nationwide, such as Walgreens, Rite-Aid, CVS,WalMart and Target. 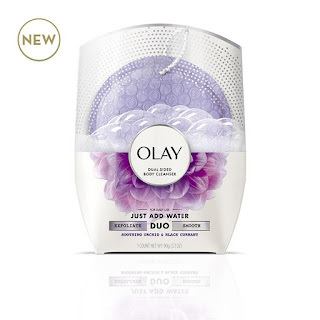 Like Olay on Facebook: https://www.facebook.com/OlayUS?brand_redir=1; Follow Olay on Twitter:@OlaySkin; Follow Olay on Pinterest:https://www.pinterest.com/OlayUS/; Follow Olay on Instagram:https://www.instagram.com/olay/ and Subscribe to Olay on YouTube:https://www.youtube.com/user/olay/Custom.